In a groundbreaking, comprehensive history of the Army of Northern Virginia's retreat from Gettysburg in July 1863, Kent Masterson Brown draws on previously untapped sources to chronicle the massive effort of General Robert E. Lee and his command as they sought to move people, equipment, and scavenged supplies through hostile territory and plan the army's next moves. Brown reveals that even though the battle of Gettysburg was a defeat for the Army of Northern Virginia, Lee's successful retreat maintained the balance of power in the eastern theater and left his army with enough forage, stores, and fresh meat to ensure its continued existence as an effective force. Retreat from Gettysburg provides the missing dimension to the campaign. Popular histories of the battle climax with the repulse of Pickett's Charge. The drama of how the Army of Northern Virginia extracted themselves from Pennsylvania intact to fight another day is equally as gripping. Confederate survivors faced monumental challenges in their return to Virginia. Not only did the able bodied soldiers face enemy pursuit, but the retreating columns did so with the added burdens of their baggage, their wounded, captured Union men and wagon trains of captured materials. Brown presents his detailed narrative in such a way as to keep readers in suspense until the last man safely crosses the Potomac. The heroic action rivals any that took place at Gettysburg and is supported by thorough research. The scores of popular histories I have read about the battle usually end with "Lee did his best, got beat and went home" type epilogues. There was so much more to the story. Readers will marvel why the subject has not received such scholarly treatment until now. Retreat from Gettysburg will stand as a landmark work. Kent Masterson Brown has spent more than twenty years researching and writing his 500+ page book on the retreat from Gettysburg. I first met Kent ten years or so ago, and I was aware that he was working on this project then. He has spent years and years on it, and it shows. This book appears destined to become a standard reference work on the subject. The bibliography is 28 pages long, and he found a tremendous volume of primary source manuscript material that is unfamiliar to even me, who has also been studying the retreat for more than ten years. The work is extremely scholarly in nature, but yet is amply mapped and amply illustrated, making it attractive to less sophisticated students of the Gettysburg Campaign. There are also unpublished photos that I have never seen before that add a lot to the story, including a photo of Capt. George Emack, the company commander who held off Brig. Gen. Judson Kilpatrick's entire cavalry division at Monterey Pass for much of the night on July 4. Brown's primary thrust is the logistics of the retreat, and he shows that there are many complex reasons why the definitive fight did not take place on the north bank of the Potomac River after Gettysburg. Those who are inclined to criticize Meade may well reconsider their positions after reading this. Congratulations to Kent Brown for writing a terrific and much needed book that addresses a too-often overlooked aspect of the Gettysburg Campaign in the level of detail that it has long deserved. This book definitely needs a place on the bookshelves of any student of the Gettysburg Campaign, and also on the bookshelves of any student of army logistics and how they can make or break a campaign. Kent Masterson Brown's "Retreat from Gettysburg" (2005) has been justly praised as the first full-length study of the Army of Northern Virginia as it withdrew from Gettysburg following the failure of "Pickett's Charge" on July 3, 1863, crossed South Mountain, and succeeded in crossing the Potomac River on July 14, 1863. Most histories of the battle devote only a few anti-climactic pages to the retreat and tell the story from the standpoint of General Meade and the Army of the Potomac. These books then either praise or criticize Meade to varying degrees for not being more aggressive in attacking Lee's army. As is well known, President Lincoln was highly critical of Meade and believed that a further attack could have severely crippled the Army of Northern Virginia and perhaps ended the War. 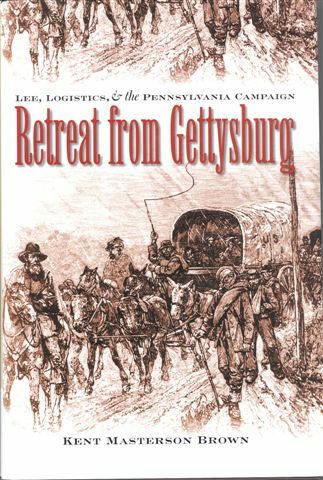 But Brown's study not only tells a detailed story of the retreat, it offers as well a somewhat different account of Lee's Pennsylvania campaign than that offered in recent studies. The books on the Battle of Gettysburg by Sears and Trudeau, for example, explain the Pennsylvania campaign as an attempt by Lee to win a major victory, to fight a battle for the annihilation of the Army of the Potomac, and thus to bring the war to an end. Brown argues that the primary focus of the campaign was different. He sees it primarily as a large-scale raid in which the Army of Northern Virginia invaded Northern soil to secure food for the troops, forage for the horses and mules, and essential supplies for the Army. Southern soil had been decimated by two years of heavy fighting, and the Confederacy lacked an adequate supply system to keep the army moving. 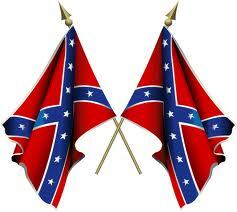 Thus Lee wanted to tap the rich, untouched soil of Pennsylvania for supplies to keep his Army a fighting force. And forage Lee's army did. Brown has unearthed and utilized a vast array of documentary evidence showing the extent of southern foraging. The foraging of food, supplies, and clothing began when the vanguard of the Army of Northern Virginia crossed the Potomac and proceeded with great force during the two weeks portions of Lee's Army spent unopposed in Pennsylvania before the Battle of Gettysburg. The foraging and gathering continued during the battle and, indeed, during the long retreat. The retreat was difficult in part because the Army of Northern Virginia had thousands of wagons which formed a train extending for 50 miles as it crossed the mountains. These wagons had to be protected, no less than the troops, to keep the army together. There were some losses to Union calvary but on the whole Lee and his army managed to get the goods they took in Pennsylvania across the Potomac and to make use of them to alleviate pressure on Southern soil and transportation systems. The story of the retreat itself is told with remarkable detail and clarity. Brown gives the reader a full picture of Lee, Stuart, Imboden, Pettigrew, and many lesser-known leaders in the Army of Northern Virginia that played essential roles in the long, difficult retreat through the mud and the mountains, most of it in driving rain. There are closely-drawn pictures of the many ill and wounded soldiers in the Army of Northern Virginia and of the African-Americans, slave and some free, who accompanied and provided essential services to Lee's army. The maps in the book are well-chosen, clear, and illuminating. The book is also graced with many rare photographs and drawings. Brown gives the reader the retreat almost exclusively from the Southern standpoint -- by following the Southern army -- but this hasn't been done before for the retreat. It deepens the reader's understanding of the campaign and of the army. I understood better after reading this account why General Meade had to hesitate in his pursuit -- he was unsure of Lee's intentions and the condition of his own army and supply system demanded attention -- and why Meade was probably correct in not attacking the strong southern defenses at Williamsport. Still, the Army of Northern Virginia was highly vulnerable to attack during the evening of July 13 early on July 14 while it was crossing the Potomac. The Union cavalry mounted a strong late attack at this point, resulting in the death of Southern General Pettigrew. Possibly a more effective reconaissance and a stronger Union infantry presence during the crossing could have inflicted greater damage. Brown has written a thoughtful and well-documented history of the retreat from Gettysburg and of the Pennsylvania campaign that has much to teach the serious student of the battle and of the Civil War.